Over the past week it’s like someone hit the switch sending breezy cool early morning temperatures our way. I like not having to get up before the sun and it’s made more tolerable wearing both long a long sleeve fishing shirt and sweatshirt. 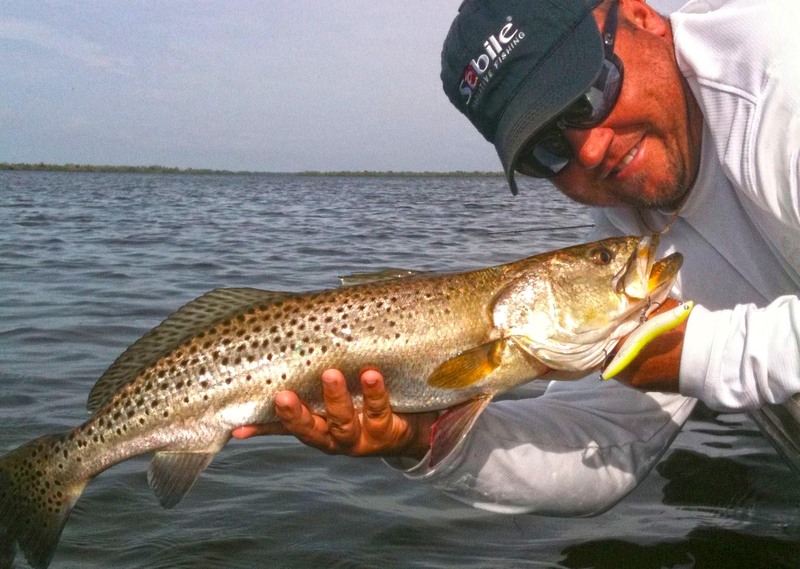 Typically, out on the grass flats these conditions have a way of turning on the bigger spotted sea trout that like to work alone. By that, I mean they are lone predators and don’t travel in schools like smaller fish. Moreover, they prey on larger baitfish making them great sport for top water plugging. Although, I prefer my fly rod, under the right conditions I’ve been known to indulge in a little top water plugging. Right now is one of those times. Bait, scaled sardines are still prevalent while water temperature is dropping. Besides the visual aspect of a boil or take, plugs are easy to throw and distance is maximized. This increases the odds as each cast covers lots of ground. I like a small spinning reel like one of the Shimano 2500 or 3000 sizes matched with a seven to seven and a half foot fast action medium power rod rigged with 15-pound braided line and a three-foot piece of fluorocarbon leader. The smaller reel helps with fatigue and the thinner braid provides distance. My favorite type plugs are “walk the dog” style. It’s a good representation of a wounded baitfish. However, don’t be surprised to find that a redfish is working the same flat. With the wind coming out of the east, I like shorelines that provide a little lee while putting the wind at my back. This helps add distance to the cast. 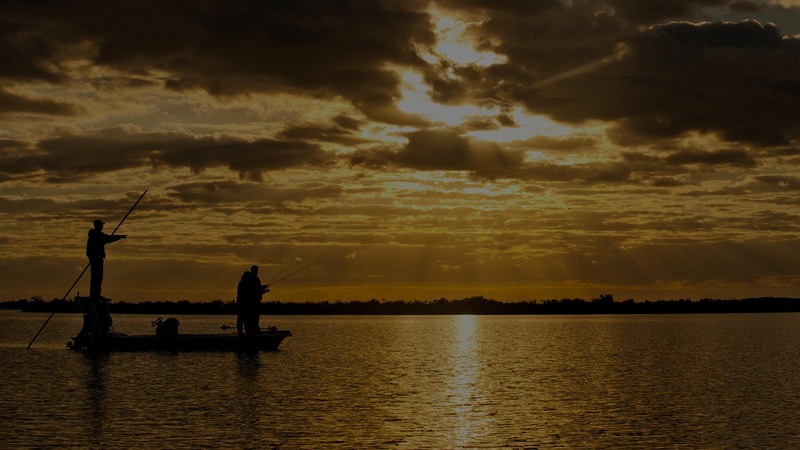 Out of Punta Gorda, I’ve been fishing the grass flats inside the bar south of Alligator Creek. Across the harbor, the eastern shoreline of Turtle Bay sets up well with this wind. Lastly, in northern Pine Island Sound, the shoreline outside Bokeelia and down past Big Jim Creek to Pine Island Marina can fish well.